Genuine Skuttle brand. This in-line strainer is the tiny strainer that fits in the inlet fitting of the water solenoid valve which allows water to enter your humidifier or stops the water flow. This strainer is designed to keep debris from entering the solenoid valve and should be checked annually for the build-up of minerals and grit. 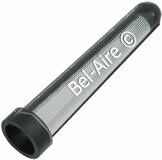 Used in most Aprilaire models including 400, 500, 600, 700. Same as the Aprilire 4004 Strainer. Used in Honeywell HE360 HE365 HE265 HE260 HE225 HE220. 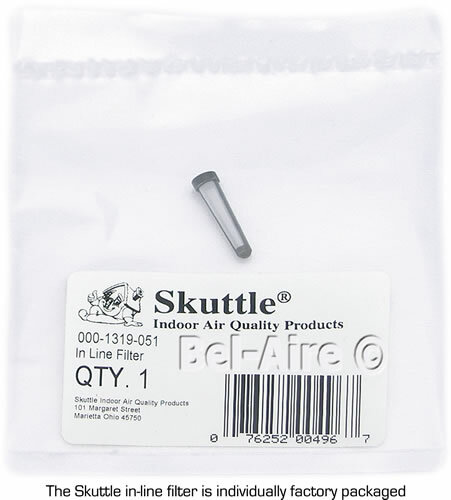 Used in Skuttle humidifiers. This strainer is typically found in humidifiers that have a solenoid. Not used in humidifiers that have a float. Aprilaire Flow-Thru humidifiers have a solenoid with	a small strainer filter in the body. These strainers should be inspected and cleaned when replacing the water panel. If the strainer becomes clogged the water pressure will tear it and pieces will jam the solenoid or loose pieces will block the orifice.